Here are two Daddy Day cards. This was a request from a friend and I made these for her. I enjoyed making these and hope she likes it. 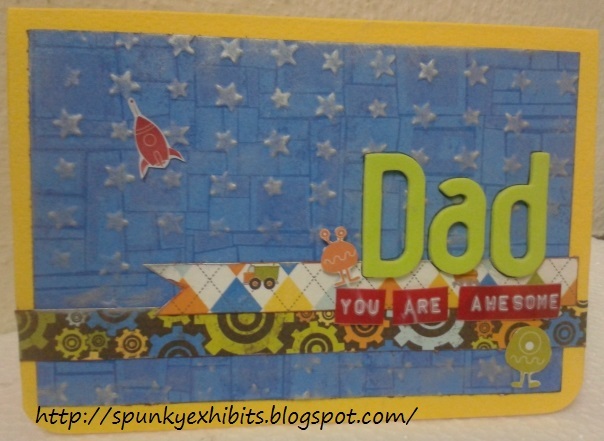 I made thiscard for a 11 year old boy to give to his daddy on Daddy's Day. I embossed the starts on a patterned paper and highlighted them with enamel ink. 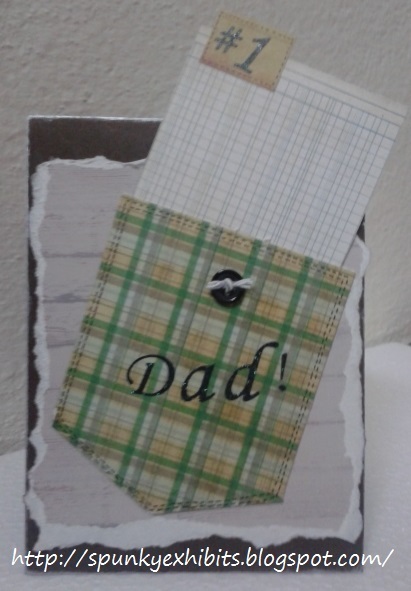 While the following card is for an older dad. I made a pocket on the card and an insert with a tab that reads # 1. Delighted to meet you today. I hope you don't mind if I splash around a bit to get to know you. This looks like a refreshing place to dip into some serious momma goodness. And I would be honored to have you come and splash some other moms as well (with this post or another momma fave) I jot some notes on Mondays. But its a link up whenever you can sort of thing, I get the filled to the brim momma schedules.